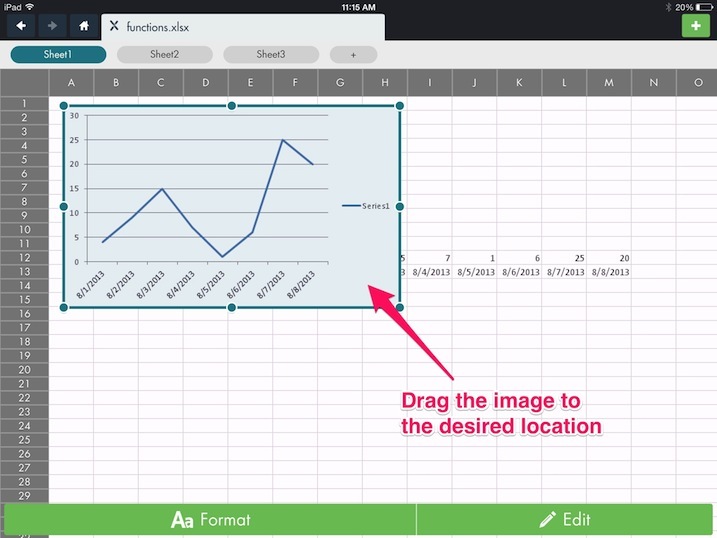 You can move images in a Microsoft Excel spreadsheet. Tap the image once and it will become selected with a blue frame. You can then drag it around the spreadsheet. Release your finger when the image is at the desired location.